Head Boy Ben Hayes from Exeter joined Exeter School aged 10 from Englefield Church of England Primary School. Talented sportsman Ben represented the school in the 1st cricket, rugby and hockey teams and was a member of the Devon Cricket tour to South Africa. He was also one of the school’s inaugural Sports Leaders, a Friday afternoon activity which enables pupils to learn about the role of coaching and extend their knowledge in a range of sports. Ben sang in the annual Choral Society concert and helped to run the Junior Science Club. A keen member of MedSoc, he was awarded a Silver Award in the Chemistry Olympiad and scored one A* and two As at A Level. He is currently on a gap year and applying to study Mathematics or Economics at university. Head Girl Megan Stride from Plymtree joined Exeter School aged 9 from Plymtree C of E Primary School. A keen netball player, Megan was Captain of the 2nd XI netball team. She achieved her Grade 8 singing exam with distinction and continues to play the flute. Megan completed her Gold DofE expedition in the Brecon Beacons with her team mates during the summer of her Upper Sixth year. She was awarded a Silver medal in the Biology Olympiad. Megan achieved two A*s and one A at A Level and goes on to study Medicine at the University of Birmingham. Meredith Marsh from Sidmouth joined Exeter School aged 11 from Tipton St John C of E Primary School. As Head of the RAF Section, Flight Sergeant Meredith won the Jack Sadler Award for her outstanding contribution to the Combined Cadet Force contingent (CCF). A Senior Prefect, Meredith was also part of the Young Enterprise team which won the Devon Final and went on to represent Devon in the West of England round of the competition. She was also a keen representative at Model United Nations conferences across the country and hosted by Exeter School. Meredith attained A*AA and goes on to study Geography at the University of Birmingham. Zachary Marsh from Sidmouth joined Exeter School aged 11 from Tipton St John C of E Primary School. Zachary was elected Member of Youth Parliament for Exeter for a two-year term in 2017. He joined all UK Youth Parliament members in the House of Commons for debates on matters concerning young people. Zachary has been a leading member of the school’s Model United Nations Society, winning awards including Best Delegate, and was Secretary General of last year’s school conference. He also took part in the Young Enterprise Scheme, the UK’s largest business and enterprise education charity, and was part of the team which won the Devon Finals. Zachary’s team won the South West General Knowledge Championship three times. Zachary scored three A* grades and goes on to study History at Robinson College, Cambridge. Will Pearce from Exeter joined Exeter School aged 11 from St Leonard’s CofE Primary School. Senior Prefect Will is a keen musician and has attained Grade 8 in the trombone and singing. As a regular contributor to school concerts, Will recently performed the Vaughan Williams Tuba Concerto with the school’s Symphony Orchestra. He also plays for the Devon Youth Jazz Orchestra, travelling to the Royal Albert Hall for the Youth Proms and Switzerland for the Montreux Jazz Festival. He sang in the annual Choral Society concert and with the Chamber Choir. He enjoyed the 2017 Choral Tour to Manhattan. Will took the lead role of Nathan Detroit in the school’s production of Guys and Dolls. He was named Ogden Trust’s School Physicist of the Year and was awarded a Silver Award in the Chemistry Olympiad and Gold in the UKMT Senior Maths Challenge. Will achieved four A* grades enabling him to study Physics at Lady Margaret Hall, Oxford. Phoebe Campbell from North Molton joined Exeter School aged 13 from Redlands School in Sydney, Australia. 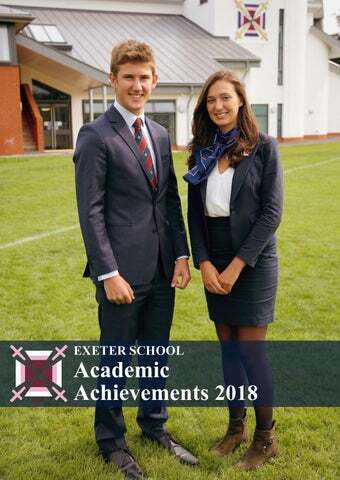 Senior Prefect Phoebe is an elite athlete and represented Great Britain at the 2017 and 2018 World Rowing Junior Championships as well as at the 2018 European Rowing Junior Championships. Phoebe also enjoyed success as a swimmer, competing at the ASA summer nationals in 2014 and 2015. Phoebe gained two A*s and one A at A Level and has an unconditional place to study Liberal Arts at Yale University, where she has joined the elite rowing programme. Jake Kilmartin from Exeter joined Exeter School aged 12 from Torquay Boys’ Grammar School. Deputy Head Boy Jake played hockey for the 1st XI and represented the school in the U16 West Finals. He has completed the 35-mile Ten Tors expedition as well as a charity cycle from John O’Groats to Land’s End, and after gaining a Silver Survive and Save Award, Jake qualified as a lifeguard and supervised the use of our new indoor pool. In the CCF Army Section, Jake organised and delivered training to the new Middle Fifth recruits, and enjoyed the annual Summer Camp. Jake was a keen member of MedSoc and was awarded a prestigious Gold Award in both the Biology Olympiad and the UKMT Senior Maths Challenge, and took Silver in the Chemistry Olympiad. He achieved 3 A* grades at A Level and goes on to study Medicine at the University of Birmingham. Sophie Gibbins from Clyst Hydon joined Exeter School aged 11 from Clyst Hydon Primary School. She achieved Silver in the AS Physics Challenge. Sportswoman Sophie captained the 2nd XI hockey team as well as being a Sports Leader. She also participated in Bronze and Silver Duke of Edinburgh Awards. Sophie sang in the Senior School choir and in the Choral Society concert and performed in the recent Senior School production of Julius Caesar. Deputy Head Girl Sophie gained 3 A* grades enabling her to study Physics at the University of Birmingham. 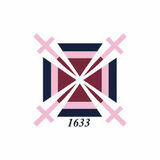 Admissions Details of admissions procedures and fees can be obtained from the Registrar via registrar@exeterschool.org.uk, on the website www.exeterschool.org.uk or via telephone 01392 273679. Families are welcome to visit the school, please ring 01392 258738 to arrange a visit to the Junior School and 01392 273679 for the Senior School. Circle Only use blue and/or white. For more details check out our Brand Guidelines.